The word "fraud" has a specific meaning in law. To be liable for fraud in the case of a will, a beneficiary must have made at least one specific false statement to the testator, who changed his will to benefit the beneficiary based on the false statement. A successful fraud claim must include all these elements. Merely lying to the testator is not fraud if the testator did not give the liar a greater share of the estate or some other benefit based on the lie. Nor has fraud occurred if the testator heard and believed the lie but changed his will for some reason not related to the llie, according to the law offices of Kramer & Connolly. In will contests, some examples of fraud are challenged more frequently than others. For instance, a testator who has a number of mental lapses or passively allows the beneficiary to make her decisions and conduct her affairs is more likely to be suspected of allowing fraud to influence her will than one who is assertive and well-oriented. Anyone may bring a claim of fraud in a will contest if he has standing. In a will contest, standing means you are an "interested person," or someone who has something to gain or lose from the will being read as it is. Contests for fraud are frequently brought by the adult children of a deceased parent who believe one of their siblings lied to the parent in order to receive more of the estate. You do not have to be a child of the testator to allege fraud, however, as long as you are an interested person. If the probate court finds that part or all of the will was created fraudulently, the court will treat the portion that resulted from fraud as if it does not exist. If the court finds the entire will is the result of fraud, the court will treat the entire will as if it does not exist, according to FindLaw. The probate court will then apply the state's rules for intestate succession, or for those who die without a will, when it distributes the testator's property. These rules tend to favor spouses and children, according to FindLaw. If there is no one living who can receive the property according to the state's intestacy laws, the property goes to the state. A beneficiary who contests the will for any reason may run the risk of losing her share of the estate entirely if she loses the will contest. This risk occurs when the will contains a "no contest" clause, which is designed to deter beneficiaries from challenging the will. 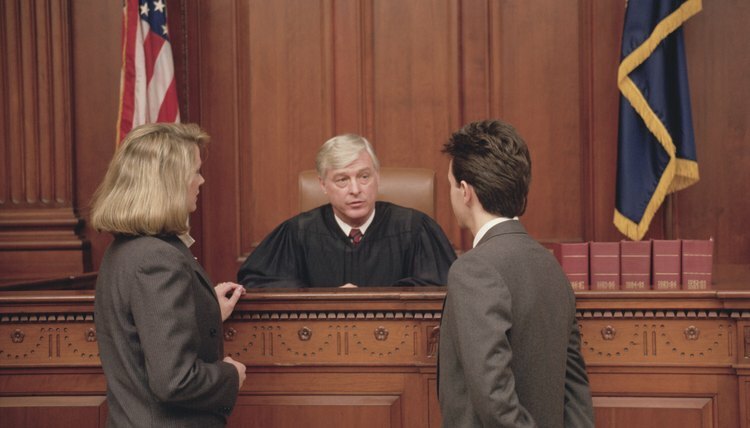 Even if you think a sibling or another person got a greater share of the estate via fraud, you may want to consult an attorney if the will contains a no contest clause, as the cost to you of challenging the will may be greater than the benefit you will receive even if you win, according to Financial Web.